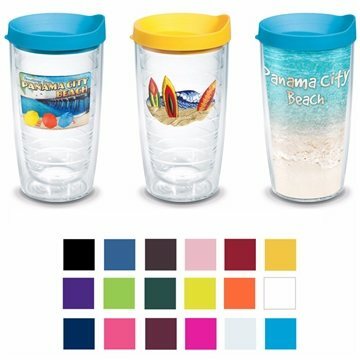 Promote your high-quality brand with high-quality Tervis® drinkware! Manufactured from clear TRITAN® plastic for clarity and strength this tumbler has double-wall insulation to keep hot drinks hot and cold drinks cold. Overall Reviews: WRITE A REVIEW (0) Tervis® Classic Tumbler - 16 oz.